What is a Intoxicating Liquor, Wine & 5% Beer Tax (Manufacturer, Solicitor, or Wholesaler) Bond in Missouri? A Intoxicating Liquor, Wine & 5% Beer Tax (Manufacturer, Solicitor, or Wholesaler) Bond is a type of license bond. The purpose of the bond is to protect the state or governmental entity for certain things, such as the payment of taxes. How Much does a Intoxicating Liquor, Wine & 5% Beer Tax (Manufacturer, Solicitor, or Wholesaler) Bond Cost in Missouri? How do I get a Intoxicating Liquor, Wine & 5% Beer Tax (Manufacturer, Solicitor, or Wholesaler) Bond? We make it easy to get a Intoxicating Liquor, Wine & 5% Beer Tax (Manufacturer, Solicitor, or Wholesaler) Bond in Missouri. Fill out the form above and we’ll get right on this for you. Then we’ll get the Intoxicating Liquor, Wine & 5% Beer Tax (Manufacturer, Solicitor, or Wholesaler) Bond right out to you. Easy. License and permit bonds are extremely important to every business or operation that entails making any amount of profit. Any business operation that involves a client are mandated to provide permit bonds as a kind of security. You should get the bond to obtain the license or permit for your business. The surety bond permits a consumer to file a case against a contractor in case of non-compliance and recover certain amount of cash for the insured portion of the project. If a client files a complaint against your bond, you are going to face legal action. If you’d like to find out more on how to obtain a permit bond, below are a few of the essential facts that you must consider. The type of bond that you will need is dependent upon the type of business operation that you have. This section clarifies other types of surety bonds that you may enjoy and their purposes. The first type of surety bond is the most common, which is the license and permit surety bond. But, before you get this bond, you have to understand first the local laws and regulations that cover the engagement of professional services in Kansas, for example. Take into account that the government must ensure that your functions is compliant to the existing laws to be able to offer you an authority to operate. In addition, you need to know that your customers can directly report to the government regarding the operations of your company. Should you fail to act as specified by the government, the client will sue your bond. You are going to then face the law, while your client is compensated due to your non-compliance. Several kinds of bonds are under this specific type of bond. One good example is the contractor license bond. Another example is the performance bonds. A performance bond is an incredible kind of insurance for the client that chooses to hire a professional for a particular task, for instance, construction. This guarantees that the demands of the project are totally adhered to by the contractor and that result of the project is acceptable and dependable. Since the contractor has all the appropriate skills and knowledge to facilitate the needs of the client, he or she should not fail. 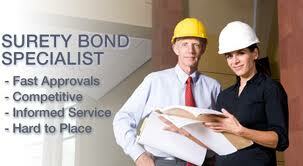 The bond is therefore an insurance to the client that the contractor will not fail to deliver results. Due to the contractor’s non-compliant, the consumer will also get a replacement contractor. License bonds hold great importance to all the clientele. It serves as a protection to the customers that they will get the result they need as the contractors are mandated to follow. One advantage of using bonds is the assurance of acquiring a systematic flow of work in operating organizations. Since the government provides a set of rules that will guide all business functions and processes, the company experts should follow these. If not, the consumer has the right to sue the bond to be able to get the compensation they deserve because of the contractors’ irresponsibility. How much can a client get in case the contractor defaults? If the contractor does not manage to comply, the customer can get a particular percentage of the total project cost. As a result, bonds serve as the clients’ protection that their projects are insured. Also, the contractors are locked to this insurance. In addition to the privileges of getting a license, the government may also provide restrictions to ensure that rules are followed totally. Do you know that the government will offer limitations in building houses with more than two floors for example? The permit bonds will help you know the extent of the construction project that you may only provide to your consumers. Obtaining a bond is quite easy. The following are steps that could guide you towards an effective application of a permit bond. In order to get a permit bond, you have to find an authorized provider first so that you’re guaranteed that it’s legit. You may use any device with Internet capabilities when accessing online permit bonds application forms. Once you access and fill the whole form, you should submit it. Comply with the directions when filling out the form so that you will not have any problem with the application. You need to also ensure that you fill all the related fields. After you have submitted the application, you are going to then get free quotation. The quotes will guidebook you on the sum of money that you have to pay for the bond. When you have made payment with the issuing company, you could now get your bond. You should understand the details of the license and permit bonds. To help you find out more about the license and permit bonds, here are some essential facts for you. Generally, the amount of a performance bond won’t be equal to the whole amount of the project cost. You’ll only be required to insure a certain proportion of the project, which is equivalent to considerable amount of money. As a matter of fact, the rate could be just as low as 1% even though the entire cost of the project you are insuring is about one million dollars. Second, the bond is not a license for your company. In fact, it protects the folks that you serve. Therefore, you’re the one responsible for paying the insurance for the projects you’re working with your valued clientele. After you have finished reading this article, you should be able to know now the need and benefits of acquiring license and permit bonds for your infrastructure projects. Just make certain that when you apply for a surety bond online, you must obtain it from an authorized issuing company so that there can be no issues when you procedure your license to function. See our Missouri Motor Vehicle or Boat Dealer Bond page here.